*Disclaimer - I received the product in this post from Razor in order to facilitate this review for my readers. Are you looking for a great electric scooter for kids? Our oldest daughter is 9 years old and is going to LOVE this electric scooter from Razor. 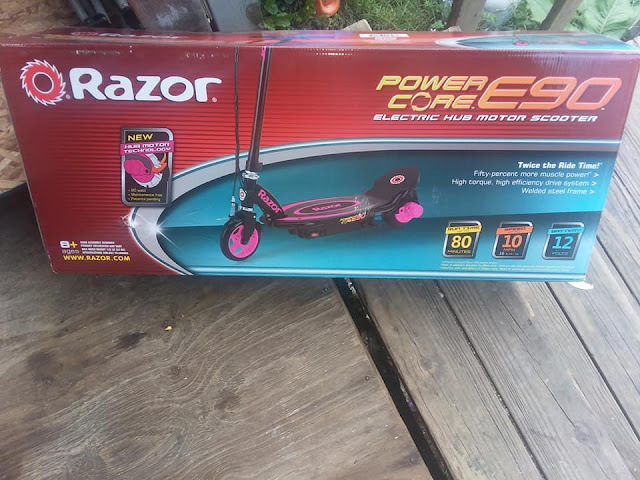 We have several Razor products from over the past few years as we love their brand, but this Power Core E90 Electric Scooter looks really awesome. The thing I really like about this particular electric scooter is the hub that it has by the back wheel that's where the motor is located, which is really awesome if you think about it. I love how well thought out and put together this product is. 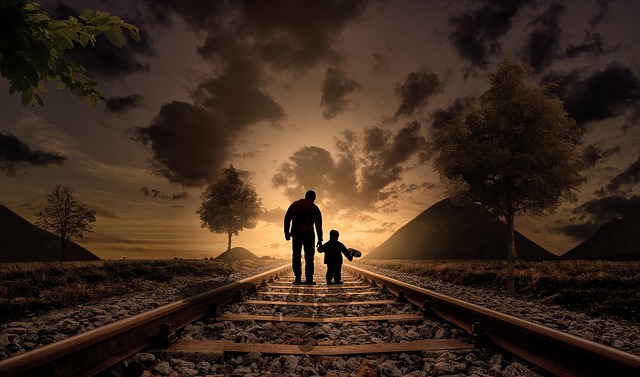 We live close to a park that has a walking track going around it, so this is perfect for that! 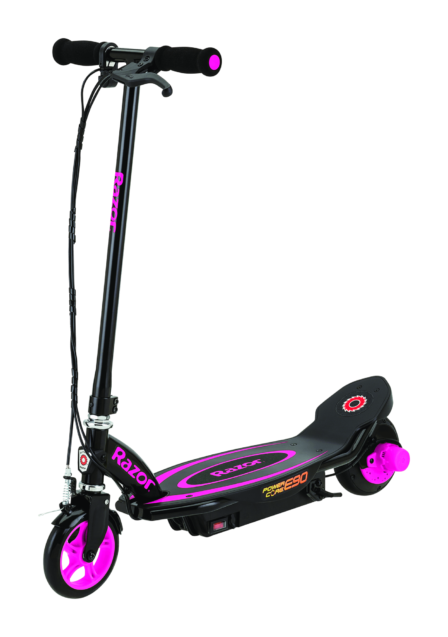 And she got the electric scooter in pink/black color, and it's really pretty in person. The scooter comes in pieces, so when you open the box you'll need to do a little bit of assembling to put it together. 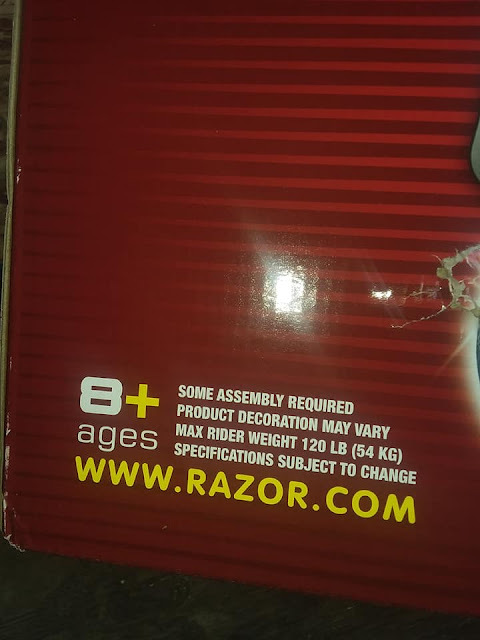 The age for this electric scooter is age 8 and above, and the weight limit is 120 lbs. 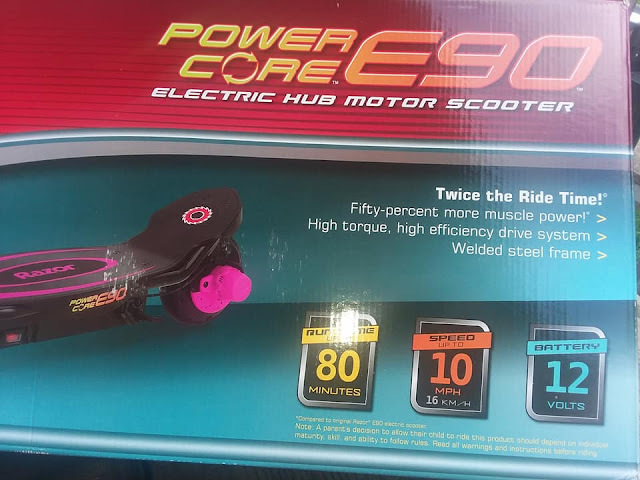 The maximum speed that this electric scooter will do is 10 mph, which is perfect for ages 8 and up. 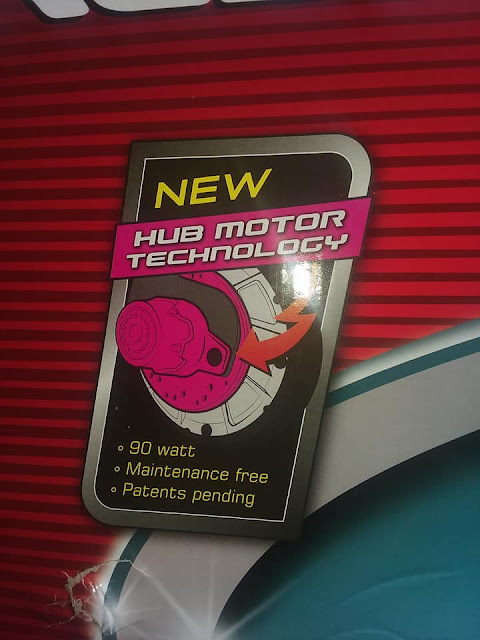 The battery life is 70 minutes which is quite a bit longer than most scooters!